HÀ NỘI — Vietnam Airlines has officially launched a new version of its mobile app for passengers as part of its plan to raise service quality. The interface of the Vietnam Airlines app has been improved in a modern way, making it more easy to use. Vietnam Airlines has focused on improving features to support passengers during their flights. With the app, passengers can find flights quickly, book tickets online easily as well as search for convenient itineraries and purchase additional facilities at any time. To save time, passengers can check-in and use boarding passes through the app. In addition, the notification feature will allow passengers to follow the flight closely and not worry about missing updated information about the itinerary. 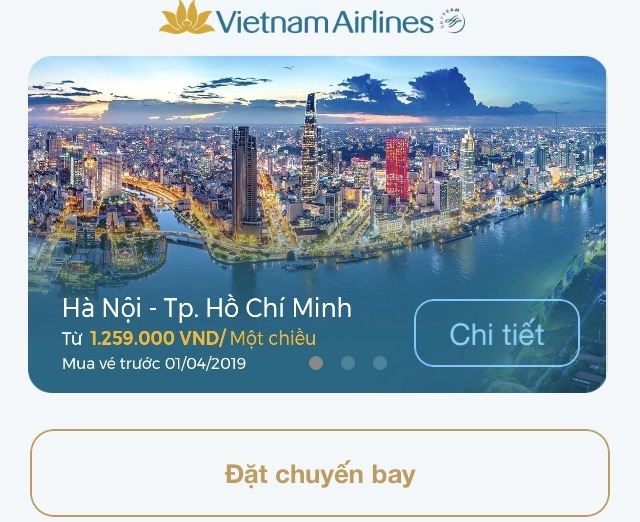 In order to give customers 4-star quality services at a reasonable cost, Vietnam Airlines prioritises promotion and updates of the latest incentive programmes such as promotional fares, air ticket packages and VNA Holidays hotel on the home page of the app. Vietnam Airlines is offering a 15 per cent discount on domestic routes for the first 25,000 users who download the application.